Latarsha Sanders has been charged with murdering two of her sons in what she told police was a "ritual" gone wrong, and we've since learned that the Sanders family had been reported to the Massachusetts Department of Children and Families at least twice during episodes of domestic violence in 2014. The family of two boys murdered Sunday in their Brockton home had been reported to the Massachusetts Department of Children and Families at least twice during episodes of domestic violence in 2014, according to Brockton police reports from that time. 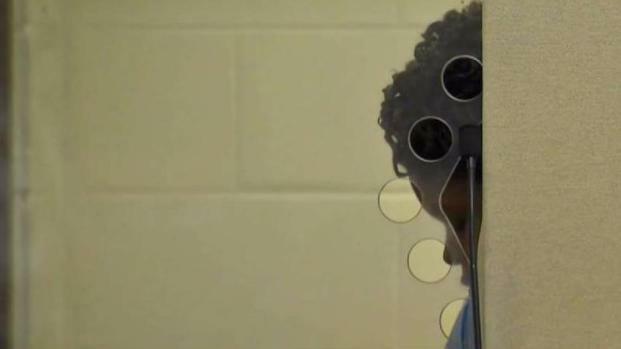 Latarsha L. Sanders, the boys’ mother, is charged with murder, accused of stabbing the children to death during what she told police was a “ritual” gone wrong. The deaths come a month after a shocking report from the state Auditor’s Office that revealed the troubled DCF failed to report dozens of deaths to the Office of the Child Advocate, a DCF oversight agency, by the required time and was unaware of hundreds of serious and critical injuries to children under DCF watch. DCF Commissioner Linda Spears told a state legislative committee Tuesday that her agency is making progress given the shape it was in when she took over several years ago, including hiring hundreds more case workers, and making sure nearly all social workers are all certified. Latarsha Sanders, 44, was ordered held without bail at her arraignment in Brockton District Court on two counts of murder in the deaths of her sons. But red flags litter the history of the Sanders family in Brockton. The boys’ father, Edson Brito, was charged three times with domestic violence, accused of assaulting Sanders in 2014, according to police and court records. Last year, Brito was charged with selling crack and with armed robbery. He has been indicted on those charges and is at the Plymouth County House of Corrections. Sanders’ family, including her mother and a teenage son, described Sanders as mentally unstable, telling police investigating the boys’ murder that Sanders had been “acting crazy again” and “ranting” about conspiracies involving the Illuminati. After Tuesday’s hearing, Spears did not respond to questions about the Sanders family shouted to her as she left the hearing room in the State House. DCF said in a statement that it cannot comment on the Sanders case. "The Department of Children and Families has received a report on this tragic situation and we are coordinating our investigation with law enforcement,” Andrea Grossman, a DCF spokesperson, said in an email to NBC10 Boston. But Tuesday brought to light even more DCF problems. The Office of the Child Advocate released its annual report Tuesday that found that 76 children under DCF supervision died in a one-year period ending June 30, 2017, the highest number in three years. And Spears told lawmakers in that hearing that DCF social workers undergo only infrequent criminal background checks. “We do a (criminal background check, or CORI) when someone is hired and promoted, or when something comes up that we believe we have a question about,” she said. “So when a social worker is hired, they get a CORI and they may not ever get one again?” asked state Rep. Shaunna L. O’Connell (R-Taunton). “It’s possible, but certainly not likely,” Spears replied. 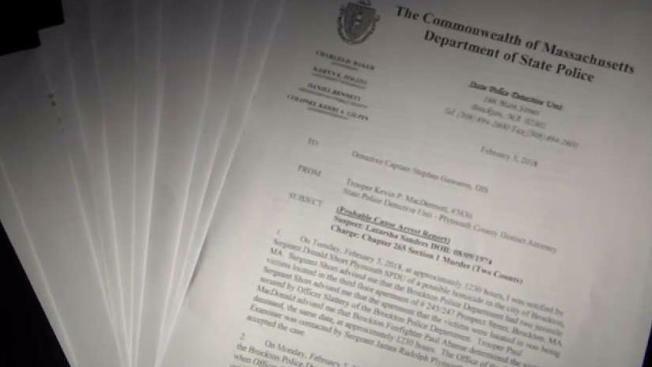 That exchange followed a report that dozens of DCF staffers or their relatives are under investigation for abuse or neglect of their own children. Sanders was arraigned Tuesday morning in Brockton District Court and ordered held without bail. Brockton emergency responders were called to Sanders’s home on Prospect Street Monday around noon, when Sanders asked a neighbor to call her an ambulance. The medical responders examined her and took her to the hospital. She made no mention of her boys, ages 5 and 8. A Brockton police officer, after speaking with a neighbor, checked on the boys and found them in their beds, each with multiple stab wounds and no pulse.